The Twelve Promises of the Sacred Heart of Jesus. (Source). I reproduce below the fine meditation on the Sacred Heart penned by Cardinal Newman. It is number XVI of his Meditations and Devotions, taken here from the Newman Reader. Sacred Temple of God. (Source). 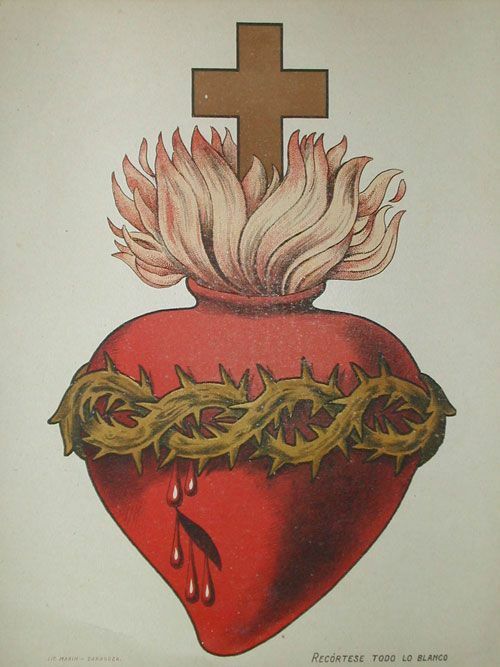 O SACRED Heart of Jesus, I adore Thee in the oneness of the Personality of the Second Person of the Holy Trinity. Whatever belongs to the Person of Jesus, belongs therefore to God, and is to be worshipped with that one and the same worship which we pay to Jesus. He did not take on Him His human nature, as something distinct and separate from Himself, but as simply, absolutely, eternally His, so as to be included by us in the very thought of Him. 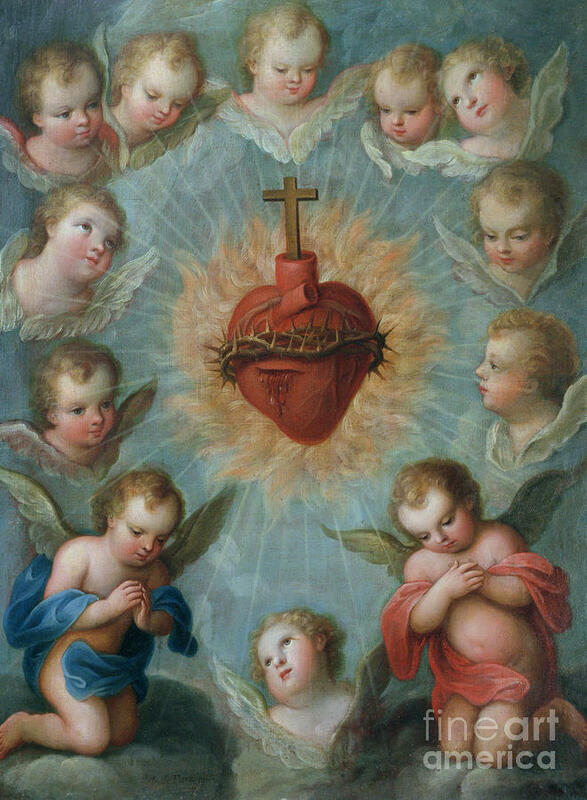 I worship Thee, O Heart of Jesus, as being Jesus Himself, as being that Eternal Word in human nature which He took wholly and lives in wholly, and therefore in Thee. Thou art the Heart of the Most High made man. In worshipping Thee, I worship my Incarnate God, Emmanuel. I worship Thee, as bearing a part in that Passion which is my life, for Thou didst burst and break, through agony, in the garden of Gethsemani, and Thy precious contents trickled out, through the veins and pores of the skin, upon the earth. And again, Thou hadst been drained all but dry upon the Cross; and then, after death, Thou wast pierced by the lance, and gavest out the small remains of that inestimable treasure, which is our redemption. Burning Furnace of Charity. (Source). My God, my Saviour, I adore Thy Sacred Heart, for that heart is the seat and source of all Thy tenderest human affections for us sinners. It is the instrument and organ of Thy love. It did beat for us. It yearned over us. It ached for us, and for our salvation. It was on fire through zeal, that the glory of God might be manifested in and by us. It is the channel through which has come to us all Thy overflowing human affection, all Thy Divine Charity towards us. 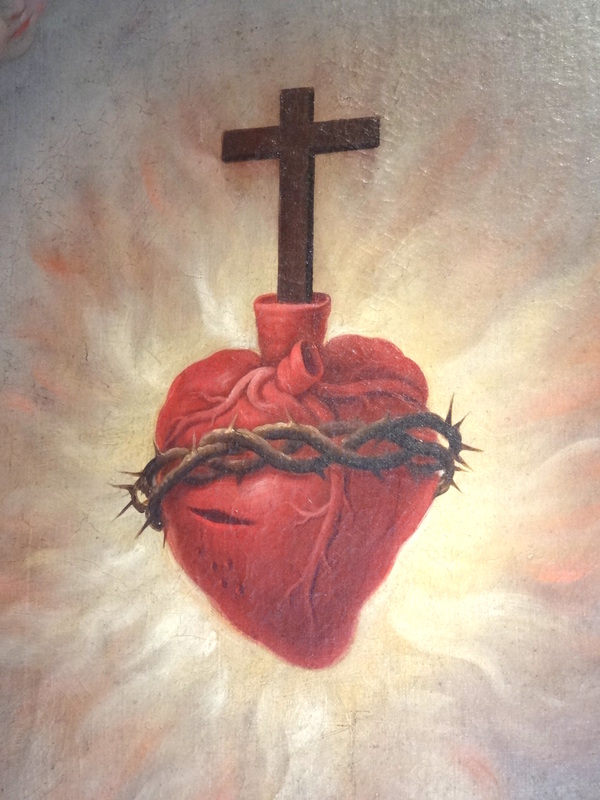 All Thy incomprehensible compassion for us, as God and Man, as our Creator and our Redeemer and Judge, has come to us, and comes, in one inseparably mingled stream, through that Sacred Heart. O most Sacred symbol and Sacrament of Love, divine and human, in its fulness, Thou didst save me by Thy divine strength, and Thy human affection, and then at length by that wonder-working blood, wherewith Thou didst overflow. Tabernacle of the Most High. (Source). O most Sacred, most loving Heart of Jesus, Thou art concealed in the Holy Eucharist, and Thou beatest for us still. Now as then Thou savest, Desiderio desideravi—”With desire I have desired.” I worship Thee then with all my best love and awe, with my fervent affection, with my most subdued, most resolved will. O my God, when Thou dost condescend to suffer me to receive Thee, to eat and drink Thee, and Thou for a while takest up Thy abode within me, O make my heart beat with Thy Heart. Purify it of all that is earthly, all that is proud and sensual, all that is hard and cruel, of all perversity, of all disorder, of all deadness. So fill it with Thee, that neither the events of the day nor the circumstances of the time may have power to ruffle it, but that in Thy love and Thy fear it may have peace. “Sacred Heart of Jesus with St. Marcel and Blessed Juvenal Ancina” by Bartolomeo Dusi. (Source).